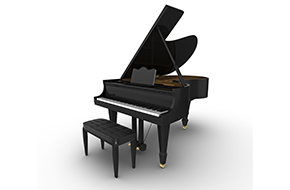 Your piano will have the perfect pitch when Better Sounds Piano Tuning finishes a piano maintenance. 10% Off To New Customers on Their First Tuning. 5% Off for Seniors. 10% off Church Discount! Let those fingers glide over the smooth keys after a piano rekeying from Better Sounds Piano Tuning. Is your out-of-tune piano keeping you from playing your favorite music? Have the kids stopped practicing because the piano sounds funny? Wait no longer! Get back to the enjoyment of playing your piano. 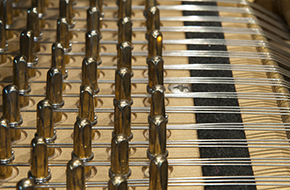 Better Sounds Piano Tuning is an independent piano tuning and repair service in the Baltimore, MD area. Do you want to lower the volume on your piano? I am experienced in voicing, which means regulating the tone of the piano. I will soften the hammers to produce a more mellow sound. You can also change the room acoustics by adding rugs, upholstered furniture, and draperies to absorb sound to help achieve the effect you are trying to reach. 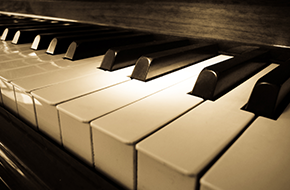 Has your piano’s touch changed? It probably has. Over time, these adjustments gradually change and must be periodically restored for proper functioning. I am an expert at regulating, which is the process of restoring the action and key adjustments to their factory specified defaults to accomplish your goal of a lighter or heavier touch. Whether you own an upright or grand piano, call Better Sounds Piano Tuning for all your piano tuning, service, and repairs. While I am located in Baltimore, MD, I also service Central Maryland, Northeast Maryland, Washington D.C., North of Virginia, and Eastern West Virginia areas.